I’m very excited to post about some of the great things my good friend Dr. Scott Watson has been “working on” of late. If you know Scott, you know that he is an extremely talented musician and composer and also quite a remarkable music educator. He recently finished a fantastic book titled, Using Technology to Unlock Musical Creativity. In addition, Scott also has one of the longest running music education podcasts that often focuses on music creativity called, What Music Means to Me. It’s fantastic. In conjunction with the launch of his latest book (published by Oxford University Press -buy it directly here), Scott will be participating in a LIVE webcast about his book on Tuesday, August 16th and I encourage all of the MusTech.Net readers to attend it if possible. BandDirector.com will be hosting this “must-see” event! August 8, 2011 – LIVE Webcast Discussion Tuesday August 16th 11:00 am Eastern. 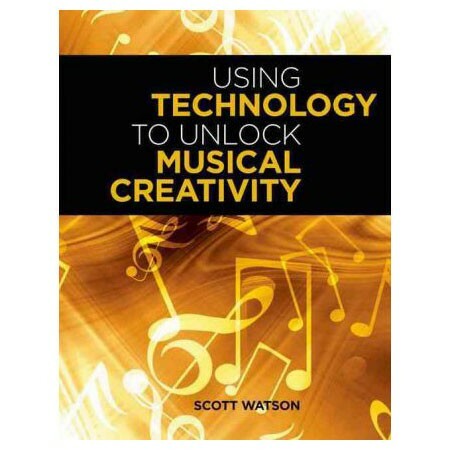 Please join Author, Band Director & Composer Scott Watson with guest Band Director & Composer Chris Bernotas <http://www.chrisbernotas.com/Chris_M._Bernotas/Home.html> for a roundtable discussion on Scott Watson’s new book Using Technology to Unlock Musical Creativity. For more information please visit www.banddirector.com <http://www.banddirector.com/> .